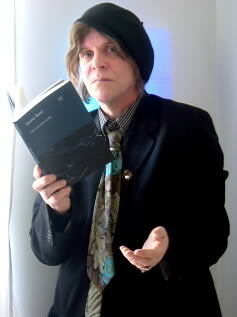 Jeremy Reed is one of Britain’s most prolific and transgressive poets. He has published over 40 books of poetry, fiction and non-fiction, winning prestigious literary prizes like the Somerset Maugham Award, and was on his coming to live in London in the 1980s patronised by the artist Francis Bacon. Some of his most esteemed fans are J.G. Ballard, Pete Doherty, and Bjork who has called his work ‘the most beautiful, outrageously brilliant poetry in the world.’ Jeremy writes about every subject that British poetry considers taboo, glamour, pop, rock, sci-fi, cyber, mutant, gay, drugs, neuroscientific, the disaffected and outlawed, and the fizzy big city chemistry of the London in which he lives and creates.